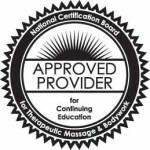 Sacred Lomi® was developed by Tom Cochran and Donna Jason and is rooted in the practice of ‘Temple Style’ Hawaiian lomi lomi Massage. Sacred Lomi weaves ancient practices with heart-centered and powerful teachings to create a complete system of hands-on bodywork that integrates the physical, emotional and energetic. ”In Sacred Lomi we embrace the integrated whole being by creating a space of unconditional love and acceptance. We invite the recipient to completely let go and receive. The flowing, circular runs nurture and embrace, clearing out the old patterns and awakening the divine in the physical being. Learn more about the ORIGINS of Sacred Lomi and the guiding PRINCIPLES of Sacred Lomi.